Students must meet the following Smith College study abroad eligibility requirements in order to receive approval for study abroad. Students must also meet admission requirements set by their chosen study abroad program and be accepted to the program. Smith approval does not guarantee admission into any study abroad program. Confer with your major adviser and departmental study abroad adviser. Review important application and paperwork deadlines. Demonstrate evidence of maturity, responsibility and preparation for study abroad. Have a 3.0 overall grade point average and be in good academic standing at the time of application: students placed on probation after receiving approval to study abroad will have their approval rescinded. Be in good standing in student conduct matters at the time of application and up until departure for the approved program. Declare a major (students who are planning on a self-designed major must meet with a class dean). Demonstrate language proficiency for languages taught at Smith and/or adequate preparation for study in Africa (see Language Proficiency & Course Requirements). Have no credit shortage when the program starts. Not exceed transfer credit limit requirements: no more than 32 transfer credits when starting a yearlong program, or 48 transfer credits when starting a semester-long program. Not have previously studied abroad as a Smith student; students are eligible to study abroad once, for a maximum of two semesters. Students who take a full semester medical leave are not eligible to study abroad the following semester. Eligibility of students who take a short-term medical leave is determined on a case by case basis. Student accounts must be in good standing at the time of application and prior to the start of the term abroad. In all instances, Smith College reserves the right to approve, retract or deny a student's participation in study abroad. Students must demonstrate proficiency in host country languages when that language is taught at Smith. Two or more years of college study or equivalent proficiency demonstrated by two semester courses at the 200 level, or one semester course at an advanced 200 or 300 level. Students normally take four 4-credit French courses, including one at the 250 level or higher in the semester prior to their study in Paris. Those who enter Smith at the 230 level or above are required to take three semesters of French prior to study in Paris, including one course at the 250 level or higher in the semester prior to study in Paris. Students beginning with FRN 101 and 102 (Beginning French I and II), or FRN 101 and 103 (Accelerated Beginning French I and II) must take three 4-credit French courses in their sophomore year, including the 250 level course (or higher). Students who do not meet these requirements are encouraged to consult with a member of the Department of French Studies. For the spring semester, students must have at least three semesters of college-level German or the equivalent prior to the start of the program. For spring admission to Track A, at least one semester of college-level French or equivalent is required prior to the start of the program; ability to communicate in elementary French is expected. Students with one year or the equivalent of college-level French are eligible to apply for Track A (fall) or Track B (spring). One year of college study or equivalent proficiency demonstrated by one semester course at an advanced 100 (intermediate) level or higher. Students are encouraged, but not required, to learn host country languages available at other colleges before studying abroad. Languages taught through the Five College Center for the Study of World Languages include Czech, Hindi, Hungarian, Modern Greek, Swahili, Thai, Twi, Vietnamese and Wolof. Swahili and Hindi have mentored programs. In addition, Polish is taught at the University of Massachusetts. Arava Institute for Environmental Studies. While a full year of either Hebrew or Arabic is recommended, students may attend without language prerequisites. Hong Kong University of Science and Technology (HKUST). Students may attend without language prerequisites but must study Chinese during the entire time at HKUST. SIT Madagascar: Biodiversity and Natural Resource Management. Students may attend with three semesters of French; students study French for Natural Sciences and Elementary Malagasy. These exceptions are allowed with the goal of encouraging increased access to non-English speaking destinations for the study of STEM-related fields. Students planning to study in Africa must take one course related to the continent before their term abroad. Study in Australia, Ireland, New Zealand and the United Kingdom is limited to one semester, with a few exceptions. Check the Approved Programs List to see the approved terms for each program. Students studying abroad at a Smith program are billed the Smith comprehensive fee (tuition, room and board), and Smith will pay the tuition, room and board charges assessed by the study abroad program. The Guide to Home School Fees explains which costs Smith covers and which costs are the responsibility of the student. Students must consider these additional costs when planning their study abroad experience. For detailed information, see links to each specific program on the Smith Program Page. Smith students are eligible for financial aid on the same basis as when they are studying in Northampton. For questions about Smith Financial Aid related to study abroad, please visit Student Financial Services. The Office for International Study awards partial funding for airfare expenses to students with high financial need studying in places other than the UK and Ireland. Students need not apply; all students who are eligible will receive an airfare stipend. Students who are dependents of Smith faculty or staff may receive a 60 percent tuition waiver for study on a Smith or consortium program abroad. For approved programs, the tuition waiver is 40 percent. The Trustees Grant for Northampton Residents cannot be used for study abroad. Tuition exchange programs can be used only for a Smith program abroad, and not for study on an approved program. Every year Smith students successfully apply for study abroad scholarships and fellowships. Please consult Student Financial Services to discuss how an award will affect your Smith financial aid package and your bill. Although a grant may reduce your overall Smith financial aid, the honor of having received a grant such as the Boren or DAAD is an impressive addition to your résumé. It remains your responsibility to notify Student Financial Services and the Office for International Study of any outside awards that you receive. Study abroad providers including CIEE, IES, IFSA-Butler, School for Field Studies, SIT Study Abroad and others have scholarships and funding for students attending their programs; please check with your study abroad program for scholarship opportunities. Many foundations and government programs provide funding to students for study abroad. Smith students have successfully won the following fellowships and scholarships. The Rainbow Special Interest Group of NAFSA (Association of International Educators) has created a special annual scholarship for American LGBT study abroad students. The Anita Volz Wien '62 Global Scholars Fund (Wien Global Scholars) is a merit-based award to encourage Smith students who are U.S. citizens to study abroad for a full year in non-English speaking countries in combination with an internship or similar experience of at least 8 weeks that is outside of the academic calendar. Exceptions will be made for science or engineering majors intending to study abroad for one semester in combination with an accompanying internship experience. This is a merit-based award and all eligible Smith students are encouraged to apply regardless of financial aid status. The internship and study period must be completed prior to graduation from Smith. *The Scholarship will either be listed as a tuition credit or as a financial aid offset if you are currently receiving need-based financial aid. Financial aid recipients will have 50% of the award replace their existing Smith Grant and 50% will be used to reduce their self-help expectation (loan and/or work). The internship placement involves intercultural and social engagement with a local community or professional setting. The focus of the internship supports the student's long-term academic and professional goals. Work plan of a minimum of 25 hours/week, for a period of at least 8 weeks either before or after the study abroad experience. Identification and agreement of an internship mentor who will meet with the student at least once a week during the internship period. Submit the Anita Volz Wien '62 Global Scholars Fund application via the Smith International Travel Experiences System (SITES) by the deadline. Essay (500 words): The Wien Global Scholars application includes an essay addressing the questions listed below. Submit this as a separate document with your name, class and major at the top of the document. Describe an important issue in today's world and how global perspectives are critical for better understanding of this issue. What are your educational goals with your year or semester abroad and how will this scholarship help you achieve these goals at Smith and beyond? Describe your previous experience with the language and culture of the country in which you will be studying. How do you intend to immerse yourself in the language and culture of your chosen country and how do you expect this to influence your personal growth and values? What type of internship will you be seeking and how will it enhance your overall study abroad experience? Please note: The student's academic record will also be reviewed. Upon return, send the report and thank-you letter (as Word documents) and accompanying photos to the Office for International Study via email. Be sure to include your name and class year. Students are responsible for paying any application fees associated with submission of an application to a study abroad program. Smith College will pay or reimburse nonrefundable program deposits normally required to confirm a student's enrollment in a study abroad program. Smith College will pay program deposits only after the Office for International Study has received the Participation Agreement and Release and Hold Harmless forms signed by the student and her parent/guardian where requested. These forms are included with the study abroad approval letter sent directly to the student by the OIS. Students who have not submitted these forms by the due date of the program deposits are advised to pay their own deposits, then submit documentation of payment to the Office for International Study for reimbursement. The time required for Smith College to issue a check is often longer than the time available for students to confirm their program enrollment. In instances when timing is critical for holding their place in a program, OIS recommends that students pay their own program deposits then submit documentation of payment to the OIS for reimbursement. Otherwise, students should bring or send a copy of the program deposit bill to the Office for International Study for payment by Smith College. Please note: Do not pay program deposits for the following study abroad programs: ACTR, Alliance for Global Education, IFSA-Butler, Arcadia, Boston University, Budapest Semesters in Math, Bard College, CIEE, College Year in Athens, DIS, Hamilton College, IES Abroad, ISA, Middlebury College, SIT Study Abroad, CET, Hebrew University, and School for Field Studies (SFS). Through a special arrangement, these programs bill Smith College directly for program deposits. Smith College will pay or reimburse nonrefundable housing deposits that are an advanced payment of housing fees. Housing deposits that convert to damage, or security deposits once the student arrives to take up residence are the responsibility of the student (see "damage and security deposits"). The time required for Smith College to issue a check is often longer than the time available for students to accept their housing offers. In these instances, OIS recommends that students pay their own housing deposits, then submit documentation of payment to the OIS for reimbursement. When timing is not critical, students should bring or send a copy of their housing deposit bill to the OIS for payment. Students are responsible for paying all damage deposits, security deposits and other refundable deposits. Damage deposits will be refunded to students at the conclusion of their study abroad, less deductions for any damages. Students are responsible for obtaining their own passports and any necessary visas and immunizations and are responsible for paying all associated fees. Students are responsible for arranging their own transportation to and from the study abroad location and are responsible for paying all associated costs. Students on financial aid may include these costs in their Smith financial aid application. Most study abroad programs provide an on-site orientation. In rare instances when there is an additional fee for an orientation, Smith College will pay the orientation cost. Students are expected to take a full course load of credits during their study abroad. When presessions are required to complete a full course load for a semester or when they are a required component of the study abroad program, Smith College will pay the presession cost. In all other instances, students who elect to attend presessions do so at their own expense. Smith College pays all tuition costs required for a full course load of credits (equivalent to one semester or one year of study at Smith College) for study abroad programs. Most study abroad applications request a billing address for payment. If a signature is required for the billing section, please come to the OIS for assistance. Please note: Programs may send tuition bills directly to students. If you receive a tuition bill, please bring a copy to the OIS or send it in an email to the budget coordinator so that payment can be made. Stipends are issued to students to cover the cost of food and housing when these items are not otherwise provided by the study abroad program. Stipends are issued twice per year, at the beginning of each Smith College semester. Students who are studying abroad for a full year will receive stipends at the beginning of each semester. Stipends are issued by direct deposit. Students must set up direct deposit to a U.S. bank account with the controller's office before leaving campus. While stipends are issued as promptly as possible, they may not be received by students until their study abroad program begins. Students are expected to be able to cover their living expenses for the first two weeks of their study abroad program and must plan accordingly. Smith College pays for board during term time by either paying the study abroad program directly or by providing food stipends to students. When three meals per day are provided by the study abroad program, students do not receive any food stipends. When fewer than three meals per day are provided by the study abroad program, students are issued food stipends for the remaining meals. Food stipends are intended to cover reasonable food costs for purchasing groceries and preparing meals; they are not intended for the purchase of meals in restaurants. Food stipends are based on extensive research and experience with study abroad programs and students about the actual cost of purchasing groceries in the study abroad location. Food stipends are intended to cover food expenses only during the time when classes are in session; they do not cover food costs during vacation periods or semester breaks. Just as when students are in Northampton, meeting food expenses during school breaks abroad is the responsibility of the student. Food stipends are rarely adjusted once the semester is underway (see "currency exchange rates"). We recommend that students budget their food expenses accordingly. Smith College pays for housing during term time by either paying the study abroad program/host university directly or by reimbursing students who have covered these fees themselves. Normally invoices for housing fees are sent directly to the Office for International Study; in instances where housing invoices are sent to the student, the invoice should promptly be forwarded to the budget coordinator who will process the payment. Students who pay for housing fees themselves and need to be reimbursed must submit documentation that the payment has been made (e.g., a copy of the credit card statement, or confirmation of payment received by program/host institution) to the budget coordinator before the reimbursement is be issued. In instances when students are given a choice of housing options, Smith College will cover only the cost of a standard room in the standard residence options, not upgraded options. Students may elect higher cost options (e.g., an en-suite or single room when that represents an upgrade, or housing closer to campus that is available at a higher charge than the university residence halls), but they alone will be responsible for paying any additional cost. When students study through a provider, any supplemental housing charges assessed by the provider for optional upgrades will be billed to the student. Students who are housed beyond walking distance from campus may request a transit stipend for commuting by public transportation to and from class. Transit stipend requests can be submitted here within a month after the study abroad term begins and must document the actual cost of public transportation to and from class. Stipends are issued taking current exchange rates into consideration. Food and transit stipends are not adjusted for any currency fluctuations during the semester. Housing stipends may be adjusted for currency fluctuations (see "housing deposits"). When the value of the U.S. dollar is declining against foreign currencies, students are advised to convert their stipends into local currency as soon as possible. Students are responsible for the cost of books, any additional course expenses (i.e., art and photography supplies, musical instruments, optional field trips, etc), and other personal expenses (which may include set up cookware, linens, camping supplies, and gym fees) associated with studying abroad. Students are responsible for the cost of their health insurance. Students studying abroad can elect the Smith student health plan, which provides international coverage, or waive it in favor of another policy, including any policy offered by the study abroad program. Students electing an insurance policy through their study abroad program should be billed directly by the program for that coverage. Smith College will not issue stipends for incidental items or amenities, including but not limited to the following: phone connections, computer facilities, gym facilities, household items (e.g., pots and pans, cleaning supplies, toilet paper). Smith College cannot guarantee that students studying abroad will have access to services or amenities equivalent to those provided at the Northampton campus. Different universities and programs provide differing levels of service and convenience and offer unique benefits not available to students in Northampton. These differences are part of the culture that makes students' experiences in another country distinctive. Credit toward the Smith degree will be accepted for satisfactory academic work done at a foreign university or on a study abroad program only if the student has been preapproved to participate. Credit for study abroad will not be given retroactively. Once you begin the semester, you may find that some or all of the courses for which you were preapproved have changed. The Smith College Office for International Study will work with you to help ensure that the new courses you choose may be approved for Smith credit. Use the Course Change Form to seek approval for new courses. Contact the assistant dean for international study if you have questions. Students must take a full course load, as defined by Smith College, to receive credit equivalent to a semester or a year at Smith. The minimum number of courses required by a program may not be sufficient to earn 16 credits per semester from Smith. Any questions about the number of credits or courses that constitute a full load should be directed to the Office for International Study. Students on Smith-approved study abroad programs normally earn 16 Smith credits for one semester, or 32 Smith credits for a full year, for successful completion of a full load of courses abroad. (Smith programs in Florence, Geneva, Hamburg and Paris may have a different total credit amount.) In exceptional cases, with written permission of the program director abroad and approval of the class dean and the Office for International Study, students taking courses in excess of a normal load may earn a maximum of 20 credits for a semester and 40 credits for the academic year. A course taken abroad that duplicates the content of one for which you have already received credit at Smith may not count for degree credit unless explicitly approved by a Smith department. Preprofessional courses such as most communications, speech, business, management, marketing, media, nutrition, library science, law, some journalism courses and some computer science courses normally will not receive credit at Smith. Distance learning and Internet-delivered courses are ineligible for transfer credit. Performance courses will be awarded credit equivalent to their value at Smith (2 credits for DAN and 1 credit for ESS). A maximum of 24 music performance, 12 dance performance and 4 ESS credits can be counted toward the Smith degree; courses taken abroad that bring the student's total performance credits above these limits will not receive credit. Group performance courses (choir, orchestra, etc.) will not receive credit. Smith requires that students either study the local language of the host country or take courses taught in the local language of the host country during each semester abroad (when such courses are offered through the program). An independent study course may be undertaken abroad only when it is part of the curriculum of the host institution or program. Students wishing to earn major credit for an independent study must receive preapproval from a faculty adviser in the major department by completing the Independent Study for Major Credit Application <link>, available in the Office for International Study. Upon the student's return, the faculty adviser agrees to review and assess the written work for major credit and report the results to the Office for International Study. Students must seek preapproval to earn credit for academic courses associated with internships. Such courses must meet the academic standards of Smith College. Students who wish to earn credit for an internship course on a Smith-approved study abroad program must submit a detailed syllabus with their Smith Study Abroad credit application. Grades for work completed on the Smith programs in Geneva, Hamburg, Paris and Florence are included in the Smith GPA and calculations for honors. Grades for work completed on other Smith-approved study abroad programs are recorded on the Smith transcript but will not be included in GPA or honors calculations. Students who fail courses abroad and incur a credit shortage can be placed on academic probation for failure to make satisfactory progress toward the degree. A student returning to Smith with a credit shortage must confer with her class dean. Courses taken abroad may be counted toward the distribution requirement for Latin honors. The first semester of an introductory language does not count toward the foreign language distribution requirement unless it is followed by the second semester of that language. Smith students are bound by the rules and procedures of the study abroad program and any host institution, including those for registration, course load, dropping and adding courses and exercising any satisfactory/unsatisfactory grading option. Students on two-semester programs considering returning after one semester should see “Leaves of Absence” section of the Class Deans website. Students wishing to rescind their Study Abroad Leave should notify the Office for International Study and their Class Dean in writing. If a student rescinds her study abroad leave in order to register for classes in Northampton, that decision will be binding, and she will not be eligible to have off-campus study status reinstated. Leave may be rescinded until the first day of classes each semester, however, the student is responsible for any non-refundable fees and deposits already paid to the study abroad program or host university on her behalf. The student is also responsible for contacting Housing to request a room. A student who withdraws from a study abroad program or host university after the program has started is responsible for any non-refundable fees and withdrawal fees charged by the study abroad program; they are also normally withdrawn from Smith and may not return to the college the following semester. Students approved for study abroad for one semester who want to extend their study abroad experience into the following semester should contact the Office for International Study to discuss their options. All study abroad students are required to submit an evaluation of their study abroad program to Smith at the conclusion of the program. Transcripts will not be forwarded to the registrar's office for posting until an evaluation is received by the Office for International Study. Students are expected to meet all eligibility requirements listed in these guidelines, and to select study abroad options from among the broad offerings on the list of Study Abroad Programs Approved for Smith Credit. Students are eligible to study abroad once, for a maximum of two semesters abroad. Exceptions to these rules are made only rarely, and only for exceptional reasons. Exceptions will be considered only in response to a written petition submitted with a Study Abroad Credit Application or Smith Program Abroad Application in SITES by the application deadline. See the tabs to the right for additional information and the procedures for petitioning for an exception. The College does not normally approve Study Abroad Credit Applications or Smith Program Abroad Applications from students who do not have a 3.0 GPA at the time of application. Students who do not meet the 3.0 GPA requirement at the time of application, and who have a well developed academic plan for studying abroad that builds on previous coursework at Smith, may petition the Faculty Committee on Study Abroad for consideration of their Study Abroad Credit Application. In the past, students with a GPA that was slightly below 3.0 have successfully petitioned. To begin this process, schedule a meeting with the Dean or Assistant Dean for International Study at least one month in advance of the application deadline to discuss your academic record and proposal for study abroad, and to obtain petition instructions. Petitions should be submitted with completed Study Abroad Credit Application by the regular application deadline. Petitions will be evaluated by the Committee on Study Abroad. Students are expected to select study abroad options from among the broad offerings approved by Smith College. Students who have a compelling academic reason to pursue study on a program not on the approved list may petition. Students wishing to petition must schedule a meeting with the Dean or Assistant Dean for International Study at least one month in advance of the application deadline to discuss whether a petition for a particular program might be considered. Students should also discuss their plans with faculty members in the appropriate department. Petitions for Fall 2019 or Academic Year 2019-20 programs are due on the first Monday in November, and petitions for programs beginning spring 2020 are due on the third Monday in February, with completed Study Abroad Credit Applications. Students should also submit a Study Abroad Credit Application for a program on the approved list, in the event that the petition is not approved. Petitions are generally not approved for programs in countries where a Smith Program Abroad is located (France, Germany, Italy and Switzerland). Maximum cultural adaptation takes time to develop; spending a full year abroad at a single location is what the College supports if the student has a full year to devote to study abroad. Adjusting to a new university and a new country is challenging; changing locations repeats these social and emotional hurdles, potentially at the expense of time spent capitalizing on initial adjustment and deepening cultural immersion on a year-long program. Research shows that a significant part of study abroad learning takes place after departure from the host country, as students reflect on and react to the impact of their experience. This strong after-effect can compromise the ability to fully participate in a second program, or conversely, the second program can prevent a student from fully realizing the fruits of the first program. Only in truly exceptional circumstances does the Committee on Study Abroad give permission for study on two separate semester programs over the course of a year, or in two subsequent years. If you think you can make a strong case for the viability and academic value of two separate programs, be sure that your advisers understand and approve of your plans for both semesters. You also must discuss your plans in detail with the Dean or Assistant Dean in the Office for International Study at least one month prior to the application deadline. Students with compelling academic reasons may request permission to study in two different locations by submitting a petition statement with the Study Abroad Credit Application for each program by the third Monday in February. Petitions for a second program will not be considered after this deadline. Students are encouraged to study a foreign language while at Smith. The college feels strongly that proficiency in a language other than one’s own is important and contributes to the student’s preparation for being a global citizen. Because of this study abroad in Australia, Ireland, New Zealand and the United Kingdom is limited to just one semester (with a few exceptions—LSE, SOAS, Trinity Laban). How do the academic learning objectives for the program/host university reinforce or complement your studies at Smith? Are there cultural and/or historical links that the program/host university offers that would provide a fuller understanding of your area of study? How would the courses offered at the program/host university contribute to your learning in ways not possible with coursework at Smith or through the Five College Consortium? Please note that personal or family reasons will not be considered for this petition. If you think you can make a strong case for the viability and academic value of spending the academic year in Australia, Ireland, New Zealand or the United Kingdom, be sure that your advisers understand and approve of your plan. You also must discuss your plan in detail with the dean or assistant dean in the Office for International Study at least one month in advance of the application deadline. Students should talk with their major adviser. Students should talk with their minor adviser. Meet with a Peer Adviser. Attend a General Information session held every Monday during the fall semester in the Lewis Global Studies Center at 4:00pm. Attend a program-specific information session (when available). See the News and Events for details. Discuss their study abroad plans with their academic advisers and departmental study abroad advisers. When are Peer Advisers Available? Peer advisers are available during open hours on Tuesdays, Wednesdays and Thursdays from 2:30-4 p.m.
What Can Peer Advisers Do? Assist students with gathering information about their study abroad options. 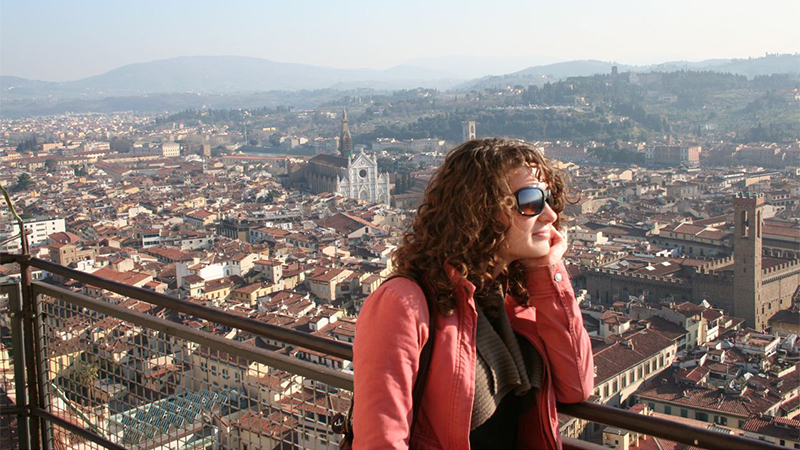 Offer advice about what to consider when selecting a study abroad program. Help students navigate the application and post-acceptance processes. Provide tips on how to prepare for studying abroad. Share their own experiences about studying abroad. Refer students to other resources as needed. As part of the study abroad application process, students are required to obtain approval from their academic advisers. Academic advising is a critical part in preparing a Smith student to maximize the study abroad experience. This form asks students to identify their preferences among key aspects of the study abroad experience. Faculty can use the Smith International Travel Experiences System (SITES) to peruse programs that are on the Approved List. This is also the site where students will be submitting their applications for study abroad approval. The approval process requires students to identify courses specific to their major, minor or certificate programs. Each department has the authority to preapprove courses that replace either core requirements or upper-level electives. Academic preparation for study abroad, including meeting the 3.0 GPA and prerequisites for study abroad programs. Students must take a full load of credit while abroad. In very few cases is there a one-to-one correlation between credits offered by a program/host university and Smith credits, therefore it's important that the student understand what is considered to be a full load at her study abroad destination. Consider major and degree requirements. Does the student have a plan to complete both and how does study abroad fit into that plan? Inform the student of particular terms that may be best for study abroad (e.g., engineering might be taken second-semester sophomore year while psychology students might be encouraged to complete the 300-level stat course(s) before studying abroad). Discuss study abroad course options with students and suggest courses that may be particularly helpful for the major/minor. Be familiar with major/minor requirements and know which ones students may be able to take abroad and which requirements must be fulfilled at Smith. Help students plan a course sequence that leaves a "flexible term" abroad with more elective options. Discuss courses that may only be offered during a specific term on campus, which would interfere with study abroad during that specific term. Remind students that the Plan of Study (PDF) they submit during the study abroad approval process is not "etched in stone" and that it's likely that the courses she actually ends up taking once she is abroad will change. If this is the case, students need to submit a course change form. The form will be sent to the assistant dean for international study who will let the student know if the new course(s) are approved for credit toward the degree. Students will need to be in direct contact with their academic advisers regarding any courses in which they are seeking major credit. You must have Smith approval for your study abroad plans. You must be accepted by the program you wish to attend. To seek approval from Smith College, submit the Study Abroad Credit Application online in the new Smith International Travel Experiences System (SITES). Check study abroad eligibility requirements and deadlines. Research program options and decide on a maximum of two possibilities. Meet with a peer adviser to discuss plans or explore options. Confer with academic adviser in your major and the departmental study abroad adviser. Submit the Study Abroad Credit Application via the Smith International Travel Experiences System (SITES) by the deadline. Apply directly to the program(s) you wish to attend, well in advance of program deadlines. Applications are due for study on a Smith Program Abroad in Hamburg or Paris (full-year) and Florence or Geneva (full-year, fall only or spring only). Applications are also highly recommended at this time for spring in Hamburg. Smith Study Abroad Credit Application is due for study abroad on Smith consortium and Smith-approved study abroad programs during the following academic year (fall, spring or full-year). Petitions for GPA, two locations and non-approved programs (for spring semester) petitions are due. Yearlong and fall semester confirmation paperwork is due for Smith programs in Florence, Geneva, Hamburg and Paris. Fall semester study abroad confirmation paperwork (included with approval letter) is due for Smith consortium and Smith-approved study abroad programs. Applications due for select spring semester programs: ACC, AKP, or PRESHCO (Study Abroad Credit Application); Smith Program Abroad in Hamburg (Smith Program Abroad Applications). GPA Petitions for above programs are also due. Spring semester study abroad confirmation paperwork (included with approval letter) is due for Smith consortium and Smith-approved study abroad programs. Petitions for non-approved programs (fall and yearlong) are also due.